Have you ever heard of the fist of Baphomet? Probably not, because the fist of Baphomet is our nickname for the Ram Horn Triple Wrist Blade! Look at this wicked awesome, wrist-mounted, blade! Its demonic look is where all the fun is! 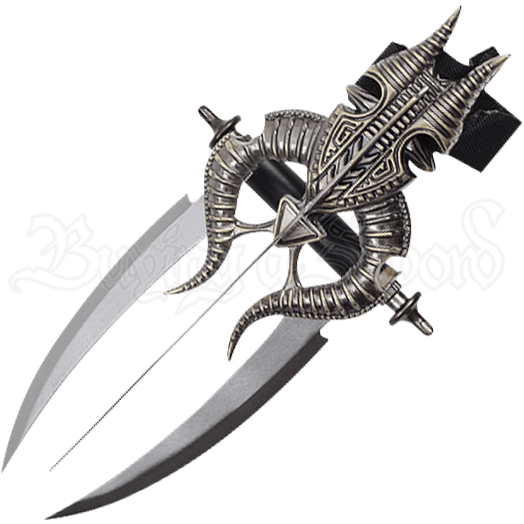 This epic wrist blade is made from stainless-steel to resemble curved horns. Two blades stick out from the front of this weapon, their faces lying parallel to the ground. A third blade is fixed to the top of this elaborately made, decorative weapon, its edge perpendicular to the ground. A band at the back of the weapon attaches it to your wrist, while a hand-hold under the front allows you to grab on and control it. 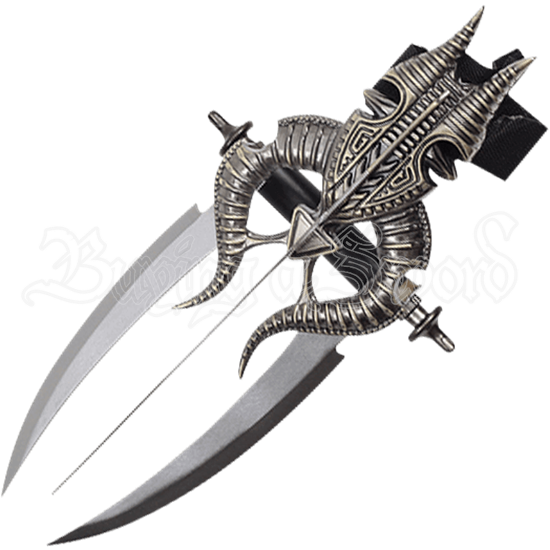 This ornate, wrist-mounted claw displays an antiqued brass finish on its body, while the blades remain a gray steel color. Mount it on your wall, keep it on your shelf, or use it in a cosplay if you dare, just be ready to be the most fearsome person around with this weapon! Buy it for a friend or loved one as an interesting gift, or use it as a home accent!